Medical physics is getting heavier. Shooting intense beams of protons into tumors to destroy them while leaving nearby tissues largely unharmed has been in vogue since the '60s. Globally, however, many centers offering such beam-based cancer treatment, known as hadron therapy, are looking to more massive carbon ions for their unique therapeutic promise. These particles are sometimes able to eradicate tumors that have become resistant to all other forms of radiation. One interested center is CNAO, an Italian acronym that stands for the National Centre for Oncological Hadron Therapy. On Sept. 22 the facility finished treating its first cancer patient with proton beams and plans to be ready for carbon-ion beams by mid-2012. "You don’t build such a giant center just for protons," CNAO technical director Sandro Rossi said. When all the magnets needed to steer the large carbon ions from the hospital’s basement accelerator to the patient are installed, the apparatus will weigh between 1,000 and 2,000 tons. Rossi expects that, in the next decade or so, when the facility is fully operational, 80 percent of its treatments will be with carbon ions, the rest with protons. 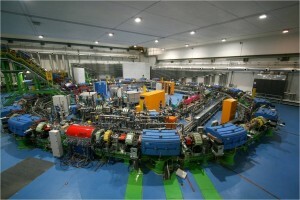 The design for the synchrotron accelerator now used at CNAO originated in a study done at CERN from 1995 to 2000. The European laboratory then provided help with key systems of the machine, and experts still share their advice as needed, though none are employed by the medical center. Both protons and carbon ions offer precision and damage-control advantages over other radiation therapy. Traditional radiation therapy and chemotherapy target a greater portion of the body than hadron therapy, leading to undesirable extra damage and side effects. Due to an energy distribution known as the Bragg peak, protons and carbon ions can be made to deliver the bulk of their impact at a particular depth within tissues: Tumors are pounded while surrounding tissues are largely left alone. Proton beams are so precise that they are often used when tumors lie close to vital organs and surgery is too risky an option. But while protons may only damage one strand of DNA in a tumor cell, eventually causing its death, carbon ions cripple both strands in the double helix. Thus the heavier carbon ions make a more potent beam and have a better chance to kill cells traditional methods haven’t been able to. Still, clinical tests of carbon ion therapy remain scanty. Only 6,000 to 7,000 patients in history have been treated this way, which is few in terms of medical statistics for such a procedure, Rossi said. Japan, the world leader in carbon ion treatment, is responsible for more than 90 percent of these patients. Rossi expects that CNAO will begin regular treatments with proton beams at the end of next year and with carbon ion beams some months later, after more trials are complete. Meanwhile in the U.S., the Mayo Clinic broke ground on its second proton beam facility in Arizona on Tuesday. Only nine other proton centers in the nation are currently operational, though seven more are in development. "Right now we’re just trying to get our heads around the protons," said Chair of Radiation Oncology at the Mayo Clinic in Arizona Steven E. Schild about the Arizona facility. No carbon ion treatment centers exist yet in the U.S., though Schild said they've been thinking of adding that technology at the Mayo Clinic. While hadron therapy is the most promising form of radiation available, he can’t be positive this is the future of cancer treatment, he said. "We'll see." 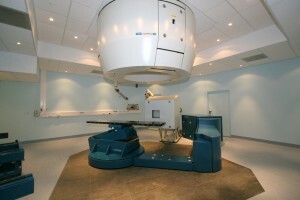 Part of Schild and other U.S. proton pioneers' research will involve cost-benefit analysis of such beam centers, including those that use carbon ions, to see if the initial expenses are ultimately outweighed by the decrease in complications, secondary effects and tumor recurrence using this method. "What you want to accomplish is the greatest good for the most people," he said.